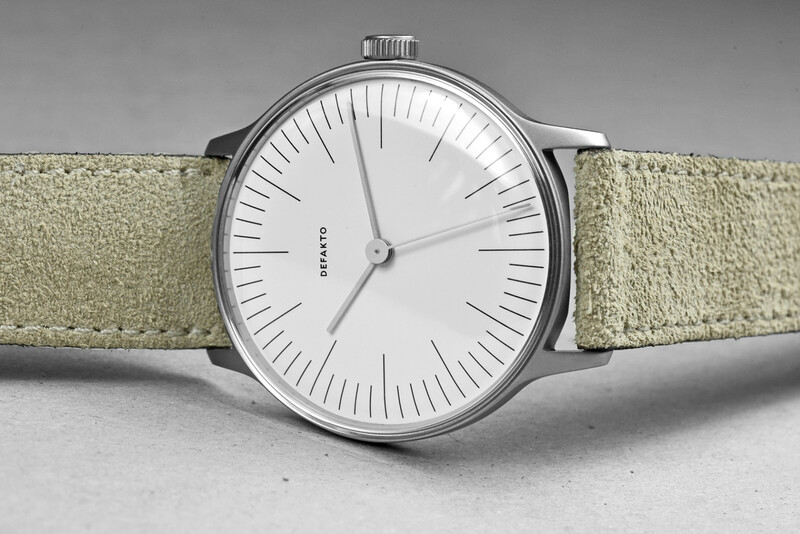 We are happy to release our newest model that has just passed its development and test phase. 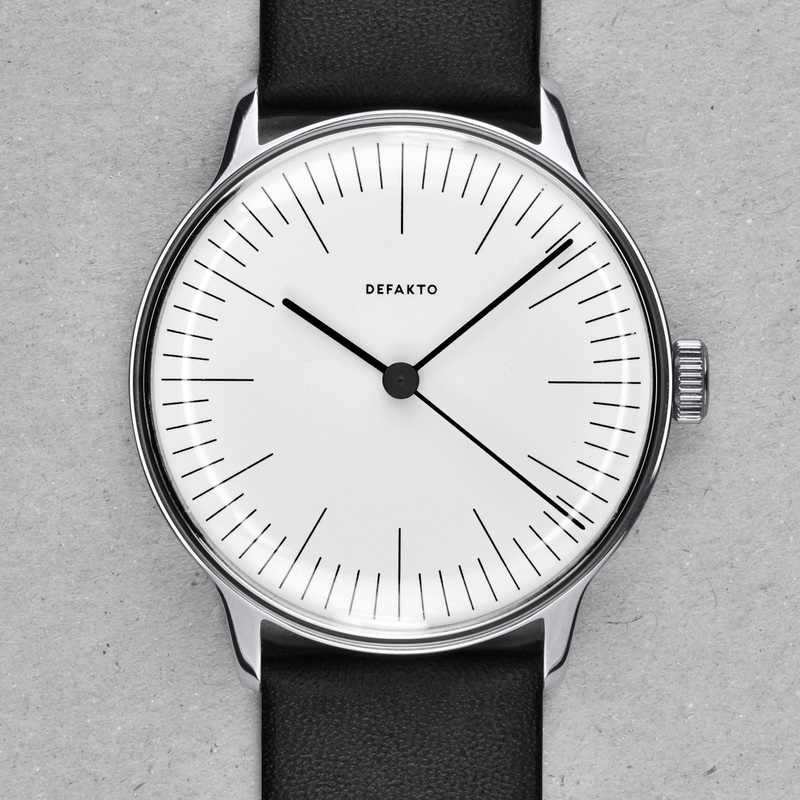 The unisex Defakto Vektor builds a bridge and shifts from classical 50s worlds to modern minimal design aesthetics. 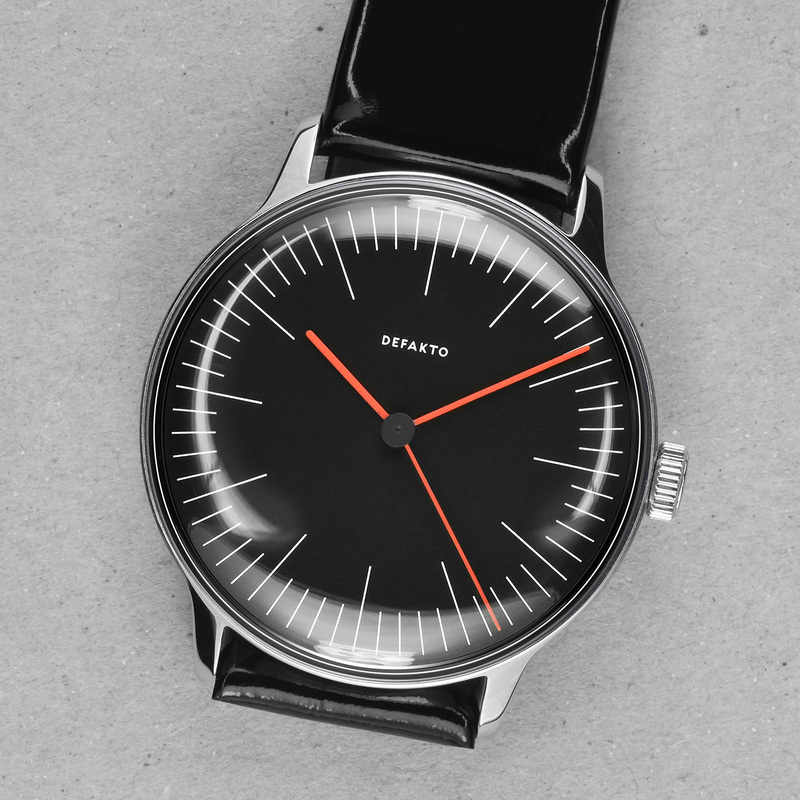 The Defakto Vektor offers a retro-futuristic design which is carried by a konvex dial that is followed by manually bended hands and a highly anti-reflective plexiglas sphere. 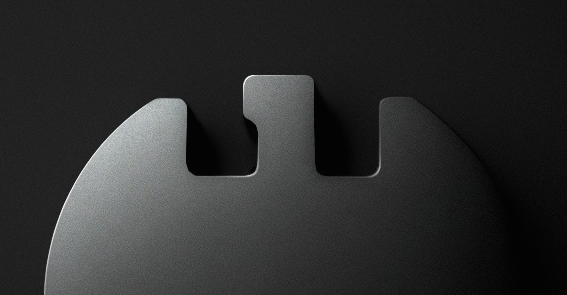 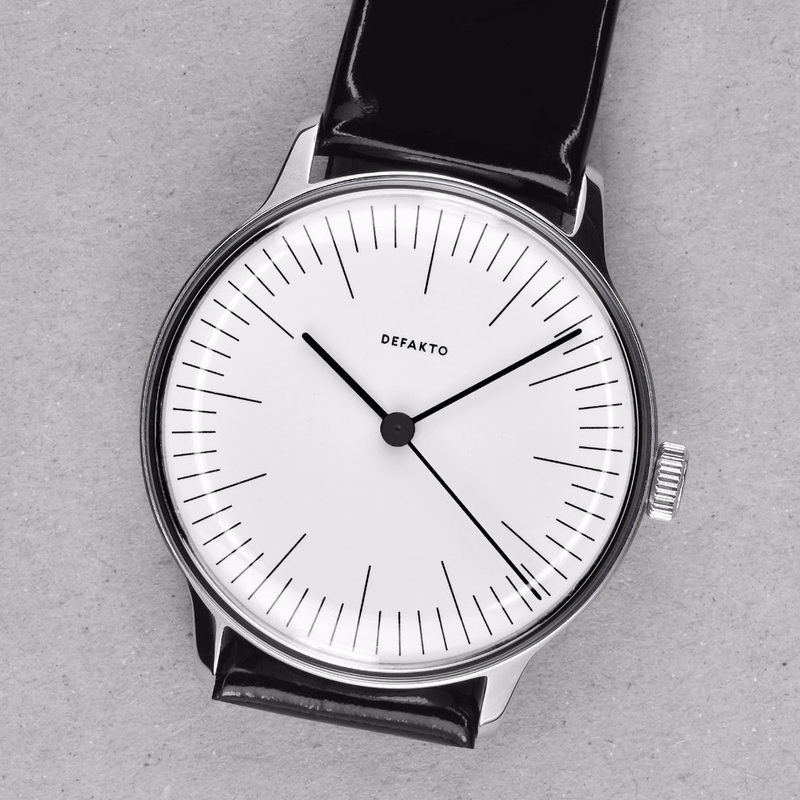 The finely drawn indexation and the rounded, thin hands with similar sized, disc like hearts make up the modern, puristic character of the Defakto Vektor. 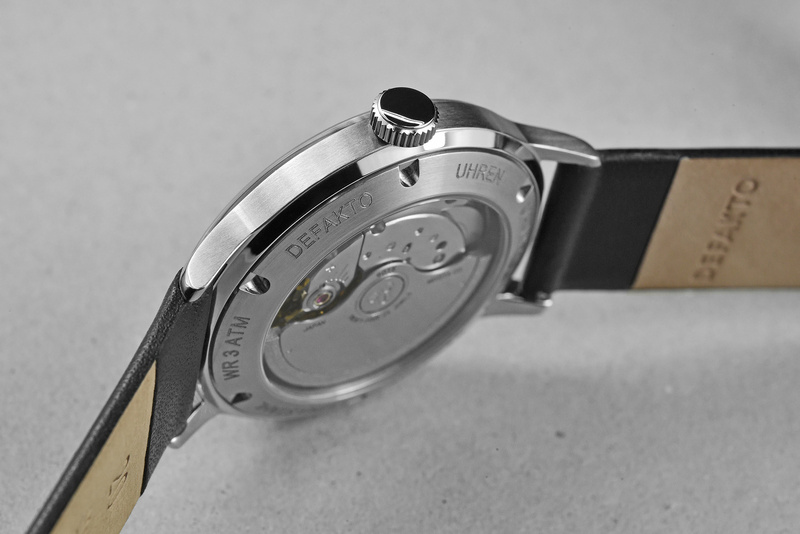 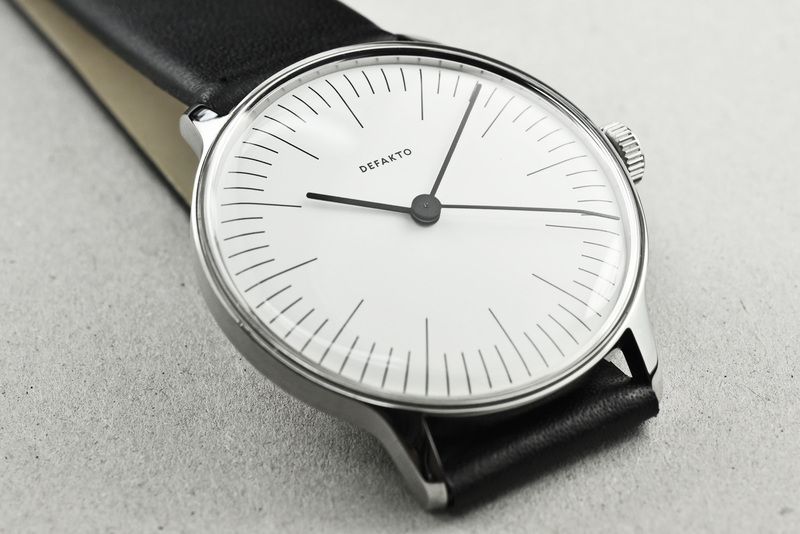 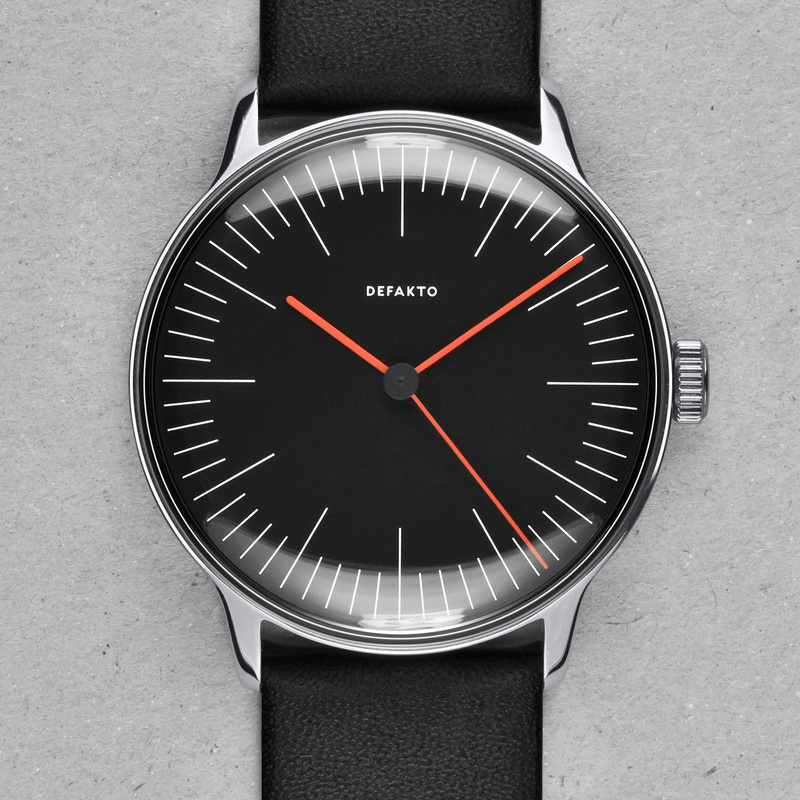 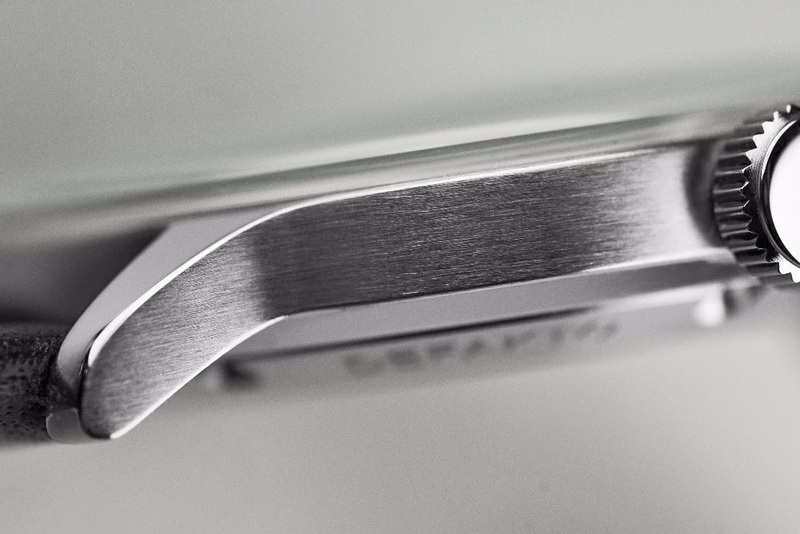 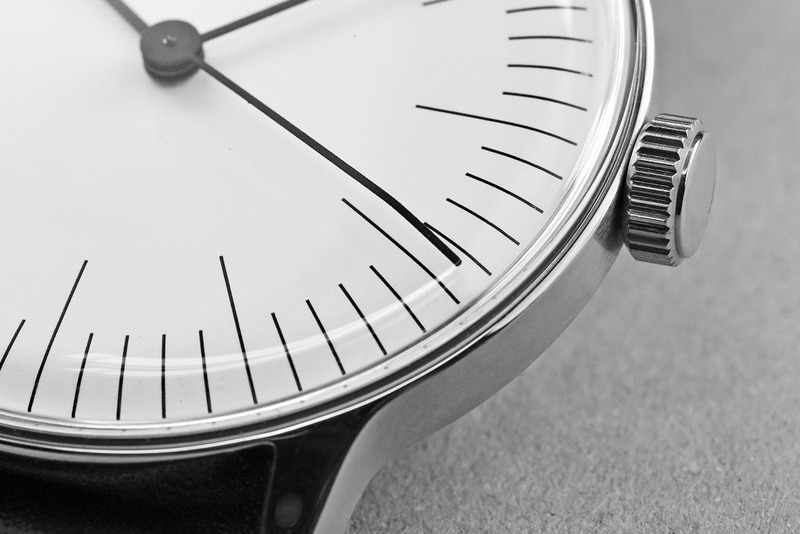 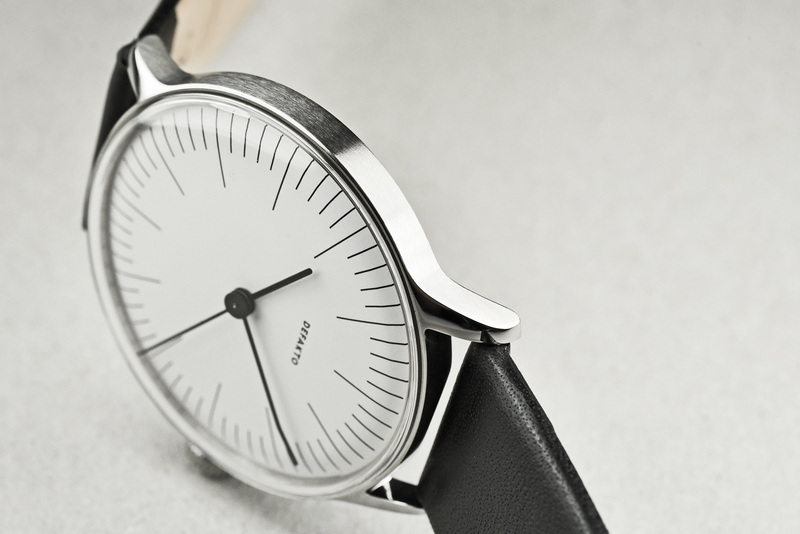 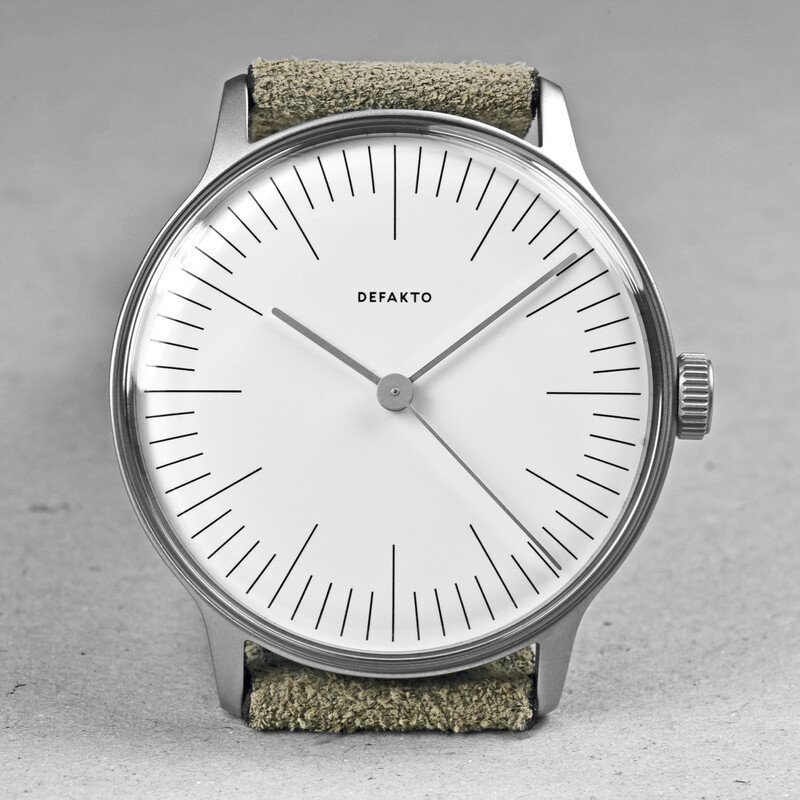 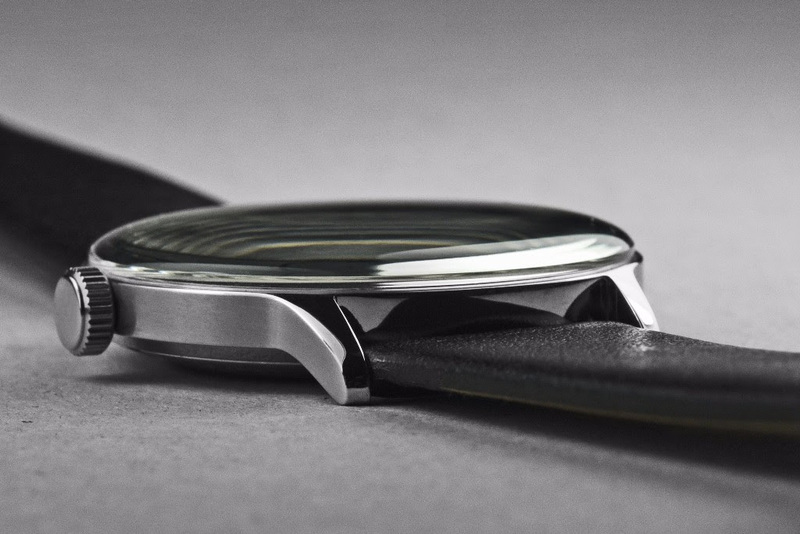 Its new inhouse manufactured, thin, two-piece 39mm stainless steel watchcase is polished on top and back, while being brushed on the side to achieve a subtle play of surfaces and to highlight the Defakto Vektors flat body. 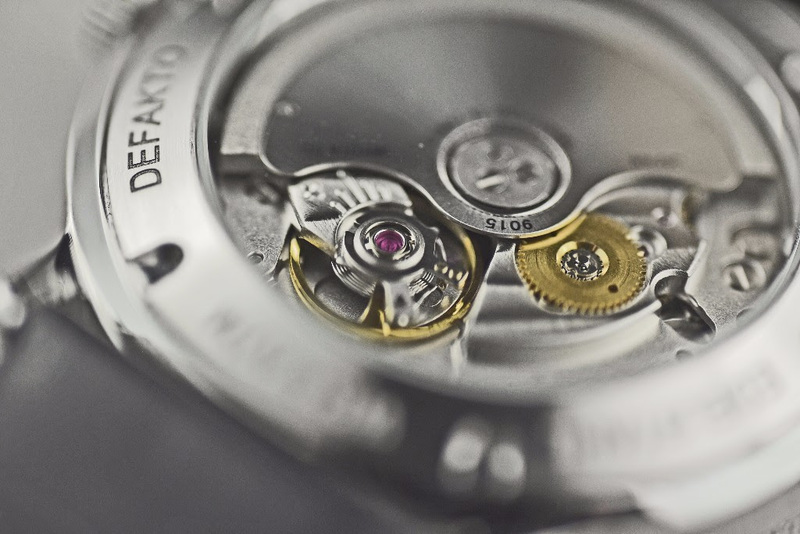 The built in automatic movement Miyota 9015 (Japan made) offers a power reserve of 42 hours and displays time with a nice to look at steady moving sweaping second.